Home » Salad » Michigan Salad with Maple Mustard Vinaigrette. Michigan Salad with Maple Mustard Vinaigrette. Enjoy summer produce in this fresh and delicious Michigan salad with a sweet maple mustard vinaigrette! 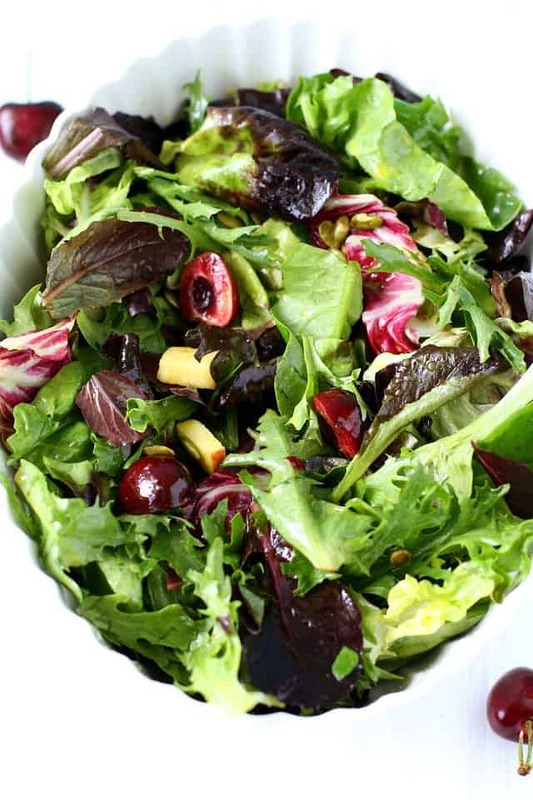 Fresh greens, cherries, and apples are delicious when combined with an easy homemade dressing. 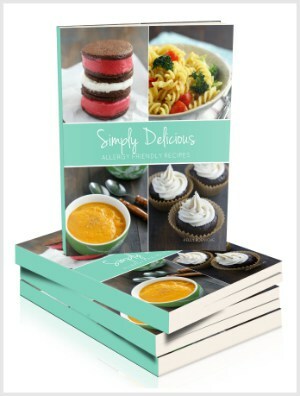 Don’t you love this time of year, when all the produce is fresh and ripe, and easy to find? It’s so fun to get in the kitchen and create something new with whatever produce you’ve found at the farmer’s market that weekend. From peaches, to spinach, to tomatoes, to cherries, there are so many wonderful foods in season right now. 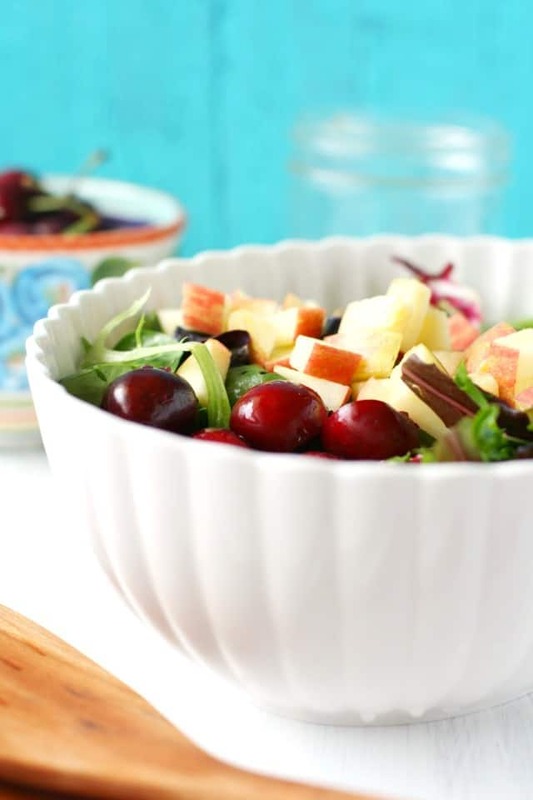 Sweet cherries are often used in sweet desserts, but I thought it would be nice to feature them in a savory-sweet summer green salad with a maple mustard vinaigrette. If you can’t get sweet cherries near you, you could go ahead and substitute dried cherries or even dried cranberries. I recently made this salad for a baby shower, and it was a big hit. The request was for Michigan salad, but since we can’t do nuts at our house, I knew I would have to modify this recipe. What is a Michigan salad? A Michigan salad is often found on the menu at Michigan restaurants, and contains salad greens, fresh or dried cherries, apples, pecans, cheese crumbles, and a vinaigrette dressing. 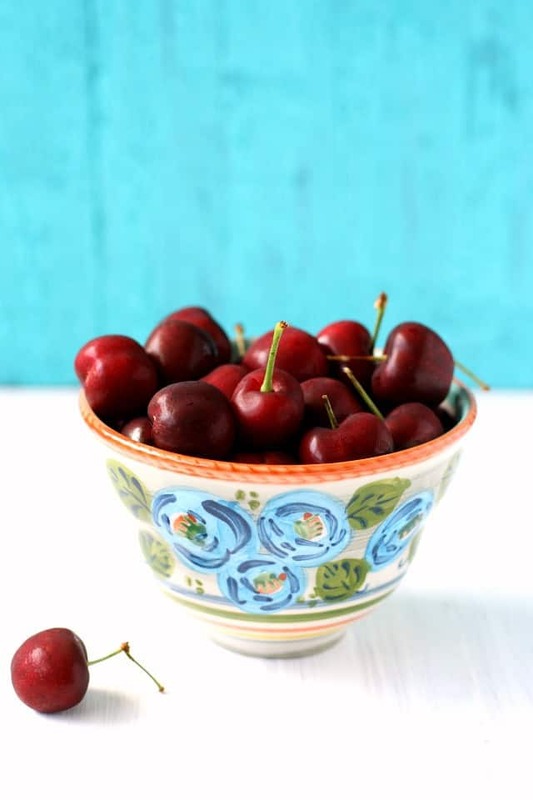 I think it’s probably called a Michigan salad because of the inclusion of cherries – Traverse City is famous for its cherry crop and celebratory Cherry Festival. Sometimes this salad includes a cherry dressing, but I decided to make a maple mustard vinaigrette instead. If you are able to eat dairy, this summer salad is delicious with blue cheese crumbles on top. How do you make maple mustard vinaigrette from scratch? 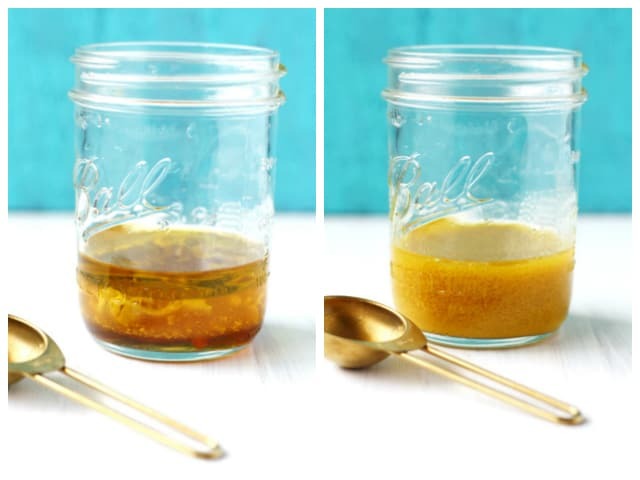 The maple mustard vinaigrette is super simple to make – I just used regular yellow mustard. If you want to be fancier, you could use Dijon mustard or grainy mustard. If you can’t eat mustard, leave it out, and use a little more vinegar. Or add a couple of tablespoons of cherry preserves. Simply combine the ingredients in a mason jar and stir or shake well to emulsify them. This Michigan salad is very versatile – add some grilled chicken breasts to make it more of an entree – or add more seeds or nuts if you are able to add more plant-based protein. If you don’t love the spring salad greens, feel free to make this with Romaine lettuce instead. If you make this salad, please let me know by leaving a comment and a rating! 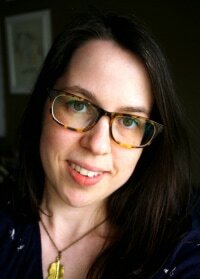 Or share it on Instagram and tag me @prettybeeblog. I love to see what you’re cooking! 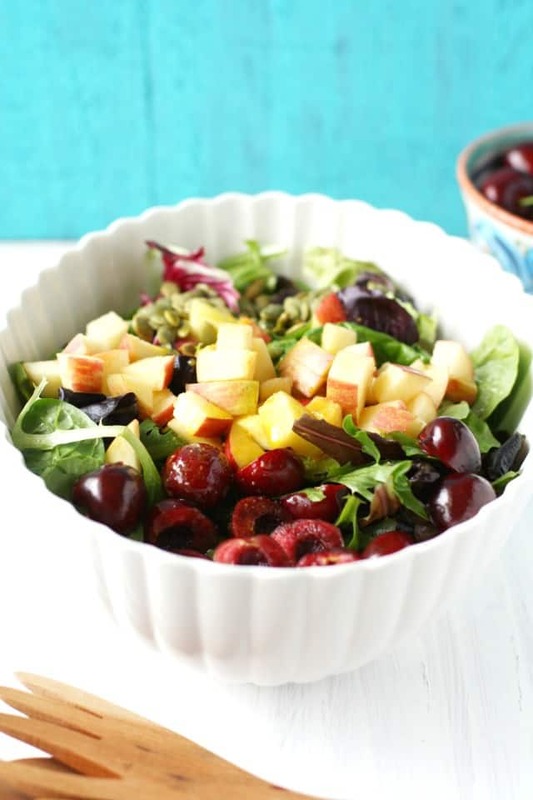 Enjoy the fresh flavors of cherries, apples, and salad greens topped with a tangy sweet maple mustard vinaigrette! This summery salad recipe is always a big hit at parties! 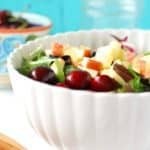 In a large bowl, combine the spring salad mix, diced apples, and cherries. Set aside. Put the salad dressing ingredients in a glass jar with a lid and shake well. Or you could just whisk it with a fork. Just before serving, pour the dressing over the salad. Sprinkle the pumpkin seeds on top. Toss to coat. You can add more seeds if you like - try adding some sunflower seeds or hemp seeds. 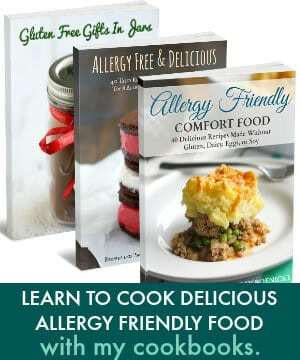 Alternatively, if you can eat nuts, you can add walnuts or pecans. If you are able to eat dairy, try some blue cheese crumbles on top. 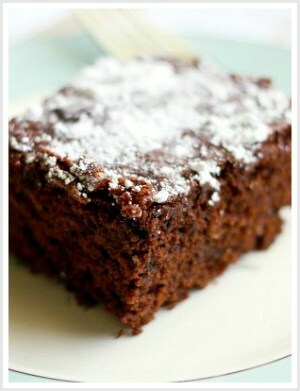 « Vegan Chocolate Zucchini Muffins.